Posted on 07/06/2015, 20:11, by martin, under General, The Good & the Bad. 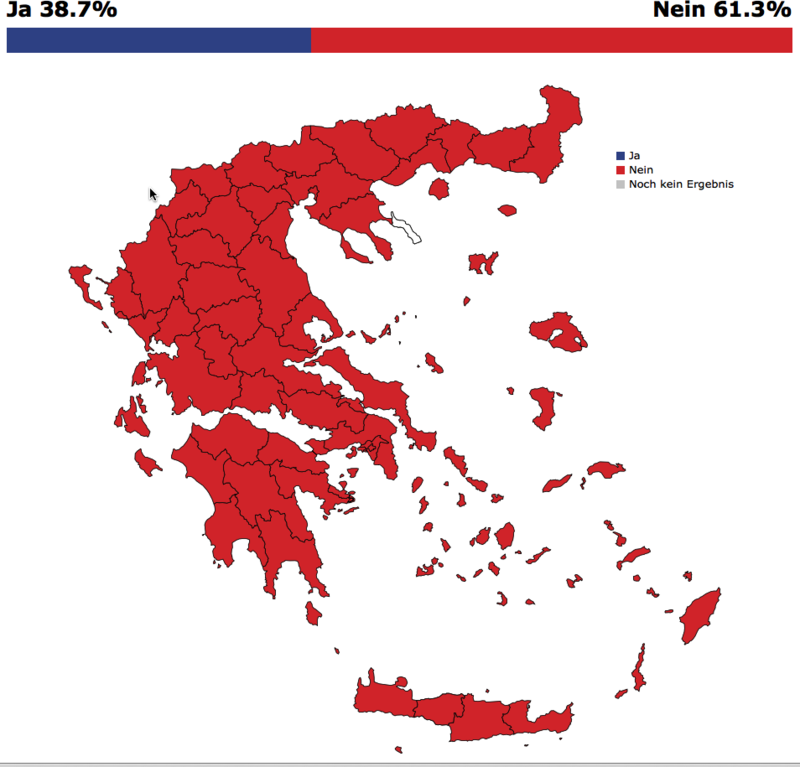 Well, yes the vote was without any doubt against the suggestion of the EU to solve the financial dilemma in Greece. But wouldn’t we like to probably learn a bit more – given that we get to see a map? Not that we get that a striking story now, but at least we see some structure now – but maybe my greek friends could help me out here with some deeper insight?! 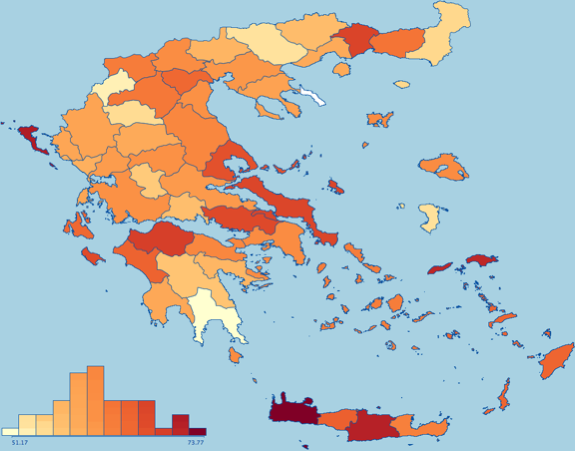 The only thing which I can read from the distribution of the votes over the districts is that the often claimed “big divide” in greek society is not really supported geographically, as we almost see a normal distribution. Drop me a line if you are interested in the data. I’m interested in the data if you care to share. One hypothesis would be that the islands voted more towards the NO than the mainland, since their tax benefits were at stake. Anyway the voting was a Greek play and I doubt that it is worth spending time analyzing it. Hopefully it is wrong to predict, that next EU bailout program will not bring any substantial recovery and a very painful Grexit would have had better odds towards a catharsis from the old structures and EU-dependencies.